Paper consignment notes have been a serious obstacle to the further digitising of international transport for many years. This has been banished to the past for some months now. Those who wish to send freight to Belgium, France or other countries only need a digital consignment note or e-CMR. Are you willing to help save 180 million euro in red tape? Within many European countries, a consignment note hasn’t been required for quite some time. In most cases a digital signature on the driver’s mobile data terminal will suffice. This proof of delivery can be viewed at the head office of the freight company and its client within a few moments. With a bit of luck, the invoice has been dispatched before the driver is back at base. For cross-border freight traffic, this is another matter entirely. For this, we continue to rely on a paper document – the CMR – not least because of liability and insurance issues. After delivery, drivers must request a signature on a sullied, often unreadable piece of paper. It can take days before the consignment note reaches the office again, provided it is not lost en route. In The Netherlands, over 40 million CMRs are used every year. According to the transport federation TLN (Transport and Logistics Netherlands), we can save 180 million euro in administrative costs if these were to be replaced by a digital version. Various European countries have initiatives that enable the use of a digital CMR. And now the Benelux has started a three-year pilot scheme, the introduction of digital CMR is becoming a popular solution for an increasing number of freight companies. The pilot scheme means that paper CMRs are no longer required for transport within the Benelux. As the e-CMR protocol has already been ratified by France and Spain – bringing the current total to seventeen countries – an e-CMR is now also sufficient for transport to these countries. Paperless international journeys are now possible at last! What does this mean in practice? Compare the e-CMR with the banking app on your smartphone; if you want to make a payment, the app allows you to do so in seconds. The e-CMR works just as effortlessly: within a few moments the freight is correctly processed, securely and according to the legal requirements. And because it is a digital consignment note, all parties in the supply chain can immediately see that the consignment note has been processed and take the appropriate actions. The freight company can send the invoice for the transport to their customer. The customer in turn can send an invoice to the client who has received their delivery in a correct manner. It will not surprise anyone that freight companies are not exactly looking forward to a separate app for the processing of consignment notes, as this would mean that drivers would have to process each consignment twice: once through their regular onboard computer and once through an e-CMR-app. This is why we at Trimble have fully integrated the e-CMR into our telematics solutions. 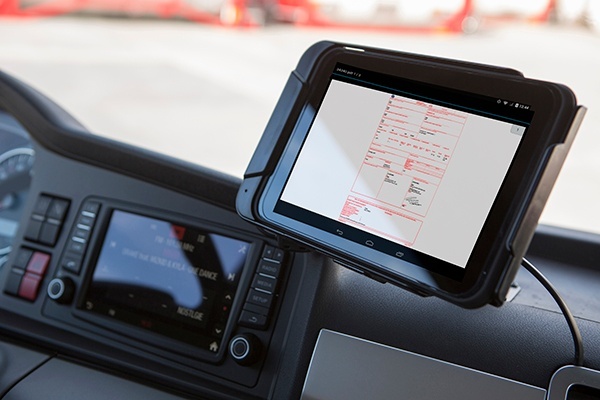 This means that drivers can use the removable FleetXPS tablet to process the e-CMR so they do not have to carry out the same actions twice. 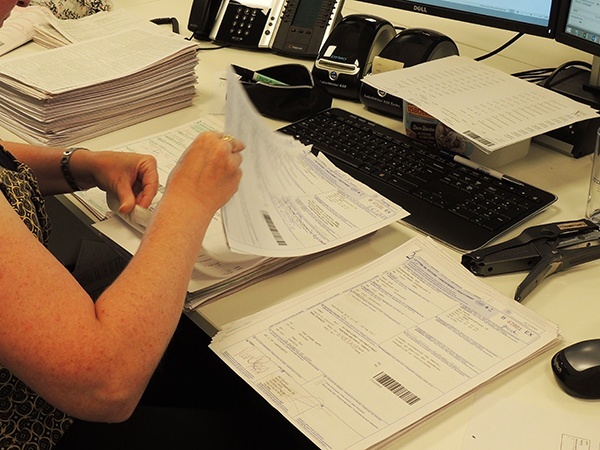 For international cross-dock operations, it’s no longer necessary to shuffle stacks of paper-based consignment notes to let each HGV leave with the correct documents. In the meantime, Trimble has put the e-CMR into practice. In cooperation with TransFollow, we have recently started two pilot schemes: one with XPO Logistics in France and one with Bas Transport in The Netherlands.